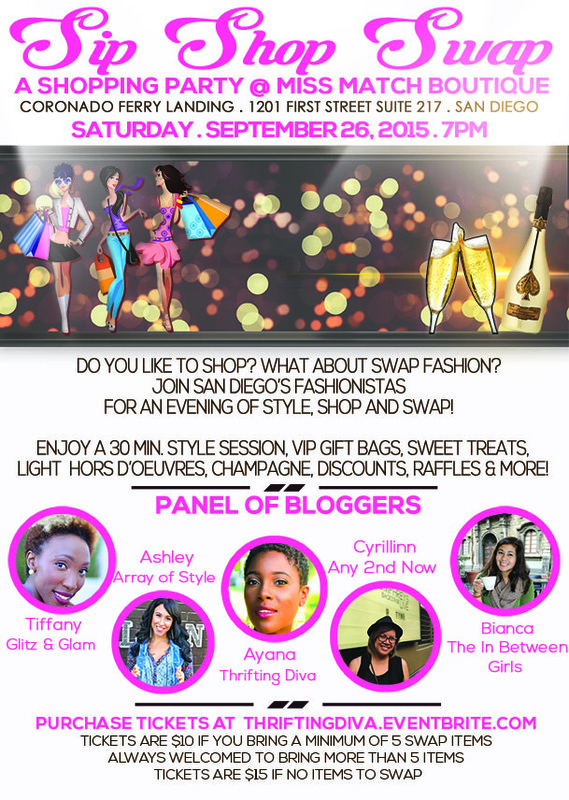 A panel of San Diego Style Bloggers will be styling and swapping at a wonderful event hosted by Ayana of Thrifting Diva on September 26, 2015 at Miss Match Boutique in Coronado! 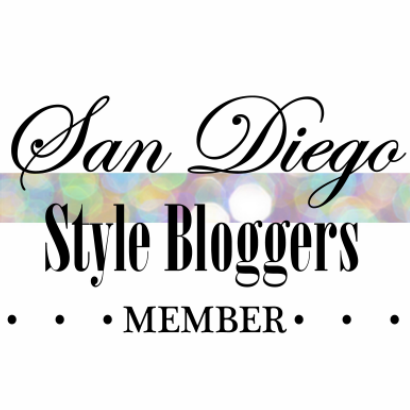 Enjoy appetizers, champagne and other sips, swag bags, and discounts, in addition to a styling session with Cyrillynn of Any Second Now, Tiffany of Glitz & Glam, Ashley of Array of Style, Bianca of The In-Between Girls and the hostess Ayana! Early bird tickets are available for $7 at http://www.thriftingdiva.eventbrite.com/ until September 2, 2015, and remember to bring five items to swap. After September 2, regular tickets will be $10 if you bring the five items to swap, but $15 if you want to attend the event without swapping. Any leftover clothing that is not swapped will be donated. It will be a great night of fashion and fun, so purchase your tickets to come "Sip, Shop & Swap" on Saturday September 26th!